With our free delivery service, Turnbull’s Hire is a convenient way to travel. We can deliver our vehicles straight to your door, making your hire a hassle free experience. We deliver to most of the Melbourne Metro area for all bookings of 4+ days- please see the map below, which illustrates our delivery area. For a nominal fee we can also deliver your vehicle to Avalon Airport. Our delivery service to the Melbourne CBD is limited to the Docklands area. When choosing our free delivery service option all paperwork essential for your hire is required to be completed before your rental commences. You will need access to an email account and scanner or fax to send through the documentation necessary. More information regarding this service can be obtained by calling us on 1300 664 068. If you’re looking for a long-term hire outside of Victoria, Turnbull’s can help you out with great rates as well as a free delivery service. To be eligible for free interstate delivery to the following states your rental period must be a minimum of 28 days. For delivery to the Northern Territory and all other areas of Western Australia this minimum rental period is extended to 3 months. More information regarding this service can be obtained by calling us on 1300 664 068. 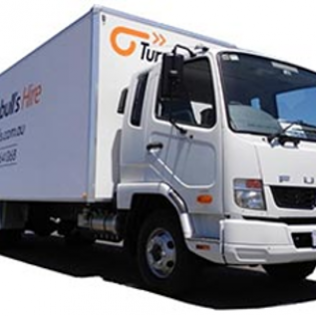 Delivery to Dandenong and Pakenham region – min 2 day hire.